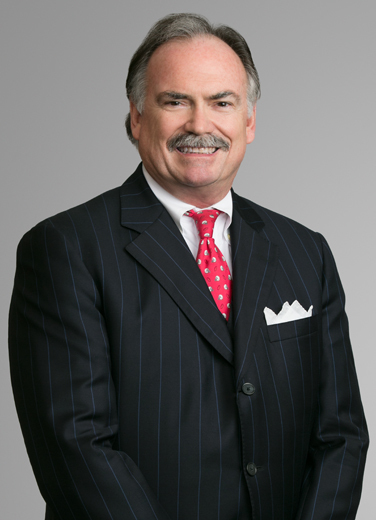 John Co-Presented "Structuring Oil and Gas Purchase and Sale Agreements: Key Considerations and Provisions"
John Bradford practices energy and natural resources taxation, finance, and corporate law at the state, federal, and international levels. He advises clients on the tax and business consequences of specific acquisitions, dispositions, financings, joint ventures, hedging activities, and day-to-day business operations. In the international arena, John focuses on helping foreign investors design appropriate structures for investments in the U.S. This includes assisting in the structure of complex energy and natural resources joint ventures, asset acquisitions and dispositions, and structured financings. He has represented clients before the Internal Revenue Service on audit, administrative appeal, and for private letter ruling requests. He also represents lenders in ad valorem tax disputes. John has extensive experience in the energy and natural resources industry, having practiced for more than 18 years as a tax lawyer for Exxon Corporation (now ExxonMobil Corporation), having worked in energy and natural resource investment banking at JP Morgan Securities, and having most recently advised clients as a principal in KPMG LLP's Washington National Tax practice. Advised a domestic refining and marketing company on the tax and business consequences of restructuring of a joint venture to provide for continuity of ownership and succession planning. Advised a domestic exploration and production company on structuring a farmout transaction as a means of settling a contractual dispute. Advised a domestic oilfield products manufacturing company on the restructuring of its operations in the Far East. Advised a domestic refining and marketing company on the tax aspects of its opportunity to acquire additional domestic marketing properties. Advised South American investors on the U.S. corporate and tax issues involved in purchasing membership interests in a domestic limited liability company. Advised a domestic company on the tax and business consequences of restructuring of ownership of its domestic subsidiary conducting business in the Far East. Advised a foreign limited company on the U.S. corporate and tax issues involved in the company’s acquisition of all of the outstanding stock of a U.S. target corporation; assisted the foreign limited company and its foreign counsel in completing the transaction. Advised a foreign limited company on the structuring and tax aspects of its acquisition of all of the membership interests in a domestic limited liability company classified as a subchapter S corporation. Advised a foreign limited company on the tax and corporate finance aspects of its term loan financing for oil and gas producing properties in Eastern Europe. John is a frequent speaker on energy and natural resource taxation matters, having presented to the American Petroleum Institute Federal Tax Forum, the University of Texas Parker C. Fielder Oil and Gas Tax Conference, the Institute for Energy Law, the North American Petroleum Accounting Conference, the Texas Federal Tax Institute, the Rocky Mountain Mineral Law Foundation, the Tax Executives Institute, the American Bar Association Section of Taxation Energy and Environmental Taxes and Banking and Savings Institutions Committees, the American Bar Association Business Law Section, the Houston Bar Association Tax and Oil and Gas Sections, the South Texas College of Law Energy Symposium, KPMG LLP's Global Energy Conference, and the Liskow & Lewis Energy Law Seminar. John’s articles have been published by The Journal of Taxation, the Rocky Mountain Mineral Law Foundation, Oil, Gas & Energy Quarterly, Oil and Gas Financial Journal, The University of Houston Business and Tax Law Journal, the University of North Texas Institute of Petroleum Accounting Petroleum Accounting and Financial Management Journal, and the KPMG Global Energy Institute. John has been a guest lecturer on oil and gas taxation at Georgetown University School of Law and currently is Adjunct Professor at the University of Illinois College of Law, where he teaches a seminar class on Energy and Natural Resource Transactions. Advised a private domestic energy company on adopting a new holding company structure for domestic and foreign assets. Advised a private domestic energy company on the tax-efficient disposition of oil and gas properties. Advised a private domestic oil and gas company on the structuring of a “continuous drilling” farmout transaction. Advised a private domestic company on the disposition of its oil and gas affiliates. Advised an international banking institution on the tax and finance issues of placing energy loans into a joint venture company with private investors. Advised several domestic and foreign companies on the tax representations included in ISDA Schedules to ISDA Master Agreements. Advised a foreign limited company on the structuring, tax and corporate finance aspects of its investment in U.S. oil and gas exploration properties. Advised an international chemical company on the North American tax aspects of its lease of rail cars for use in Canada, the U.S. and Mexico. Advised the domestic subsidiary of a foreign oil and gas company on the tax aspects of conducting business in Texas. Advised a domestic banking institution on the tax aspects of restructuring its term and revolving loans to a domestic oil and gas company. Advised an international banking institution on the tax aspects of certain energy-related investments in the U.S. Advised a domestic limited liability company on the acquisition of onshore oil and gas properties through a participation agreement classified as a partnership for U.S. federal income tax purposes. Advised a multi-national oil and gas company on restructuring the ownership of its offshore U.S. oil and gas properties. Advised a foreign oil and gas company on its term note debt capital financing. Advised a multi-national oil and gas company on the disposition of a multi-billion dollar offshore oil and gas unit interest, including drafting purchase and sale agreement and related confidentiality agreement. Advised a domestic limited liability company on the acquisition of onshore oil and gas properties through a farmout agreement. Advised a domestic multinational oil and gas company on the tax provisions in its foreign oilfield infrastructure procurement contracts. Advised a domestic subsidiary of a foreign oil and gas company on the U.S. federal and state tax consequences of the establishment of a services procurement business in the U.S. Advised a domestic limited liability company owning oil and gas properties on the issuance of common and preferred membership interests to raise additional equity capital. Advised a domestic limited liability company owning oil and gas properties on establishing a domestic well servicing company. Advised a foreign oilfield services company on establishing a U.S. subsidiary to conduct business in the Gulf of Mexico. Advised the new U.S. subsidiary on conducting business in the U.S. Advised a domestic oilfield services company on the acquisition of certain onshore drilling rigs. Advised a domestic oilfield services technology company on establishing an ownership structure for an operating subsidiary in a country in the Far East. Assisted local counsel in establishing the intermediate holding company and the operating subsidiary. Advised a domestic subsidiary company on the restructuring of its businesses and the sale of its shares by a foreign parent company. Advised a shareholder of a domestic company on the structuring of a purchase of the shares of stock from another shareholder in the execution of a buy-sell arrangement. Advised a large domestic publicly-traded company on structuring its acquisition of an interest in a mature oil field and its joint venture to capture and inject carbon dioxide into that field in an enhanced oil recovery project. Advised an international oil and gas company on restructuring the ownership of its petroleum licenses to facilitate a private placement with investors to fund an eastern European gas drilling project. Advised an international oil and gas company on structuring its Marcellus midstream operations as a partnership for tax purposes. Advised a private domestic oil and gas company on structuring its oil and gas property interests in entities to facilitate private placements of indirect interests in the properties with investors. Advised a domestic limited liability company owning oil and gas properties on restructuring its private equity debt and limited liability company membership interests from a tax and finance perspective. Advised the company regarding the organization of a new affiliated limited liability company the membership interests in which would be awarded to employees as incentive compensation. Advised the company regarding its recent private placement and new revolving credit facility. Advised a multinational company on structuring a joint venture limited liability company to acquire and exploit overseas oil and gas properties. Advised a domestic client on the due diligence review and structure for the multi-billion dollar acquisition of domestic oil and gas properties, including the organization of several limited liability companies to hold the properties. Advised the domestic affiliate of a foreign energy and natural resources company on the due diligence review and structure for the acquisition of two electric power generation facilities worth more than $800 million, including the organization of separate limited liability companies to hold the facilities. Advised a foreign oil and gas company regarding restructuring its ownership of U.S. oil and gas properties, including the organization of a new tax-efficient limited liability holding company structure to hold the properties. Advised a domestic limited liability company on its acquisition of Gulf of Mexico oil and gas pipelines. Advised several financial institutions regarding the tax consequences of their domestic production payment, net profits interest, and mezzanine finance transactions with oil and gas company clients. Advised a domestic oil and gas company regarding a complex financing structure that was the subject of an IRS audit. Advised the company on strategies and positions in IRS Appellate Division review of the structure. Advised a domestic oil and gas company regarding IRS examining agent’s request for technical advice to overturn a prior favorable ruling obtained for the company. Represented the company before the IRS National Office. Advised the domestic affiliate of a foreign power generation company on FIRPTA tax issues arising from acquisition of domestic wind power generation assets from an investment partnership. Advised the owners of a limited liability company on the conversion of the business to a qualified “woman business enterprise”. “In recent years I have picked up a new sport -bowling. My wife and I participate in a year round league, and we regularly participate in tournaments around the country. I’m an avid sports fan, and bowling provides an outlet that includes a great social component. In addition, I enjoy golf, reading and listen to music."